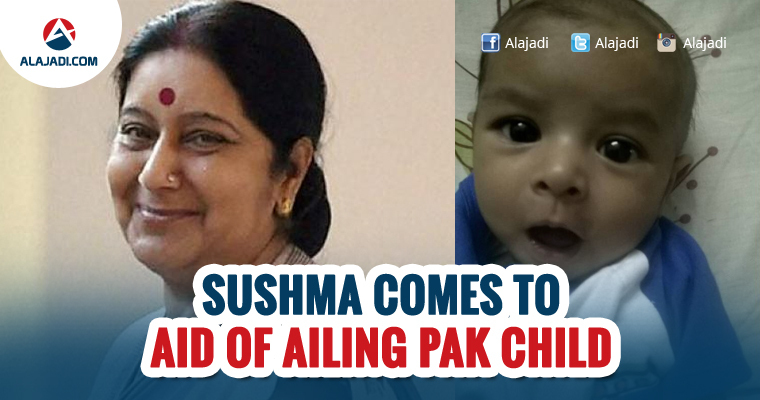 External Affairs Minister Sushma Swaraj on Wednesday assured a Pakistani man of a medical visa so that his two and a half-month-old infant, who is suffering from a heart disease, can be brought to India for treatment. Ms Swaraj’s assurance came after the child’s father brought the matter to her notice on Twitter. Swaraj assured the Pakistani national that the Indian authorities will assist him with the process after the man identified as a civil engineer living in Lahore according to his Twitter bio. 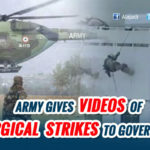 In a tweet, the man questioned Swaraj and Pakistan Foreign Affairs Minister Sartaz Aziz that why his child had to suffer because of sour relations of the two nations. Swaraj’s assurance came after the child’s father brought the matter to her notice on Twitter. “The child will not suffer. Please contact Indian High Commission in Pakistan. We will give the medical visa,” she said. 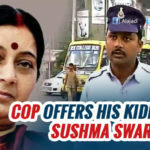 Earlier, a man named Ravi kumar had also written to Swaraj, saying that the infant needs immediate treatment and had sought her intervention in the matter. Last week, Ms Swaraj was thanked by the family of Uzma, an Indian national who said that she was forced to marry a Pakistani man at gunpoint, for ensuring her safe return from the neighboring country. Ms Swaraj was also lauded by Punjab Chief Minister Amarinder Singh for ensuring the safe return of a 55-year-old woman from Jalandhar who was sold and tortured in Saudi Arabia.